Our family enjoys watching the TV show ‘Minute to Win It.” We put together a tub of so many of the fun household games to play and our children love it…even the adults we play with have so much fun. We take out the bin every so often and have instant fun. Here are some pics of stacking those inexpensive plastic cups….entertainment for hours. Use the air from a balloon to slide them off the table. 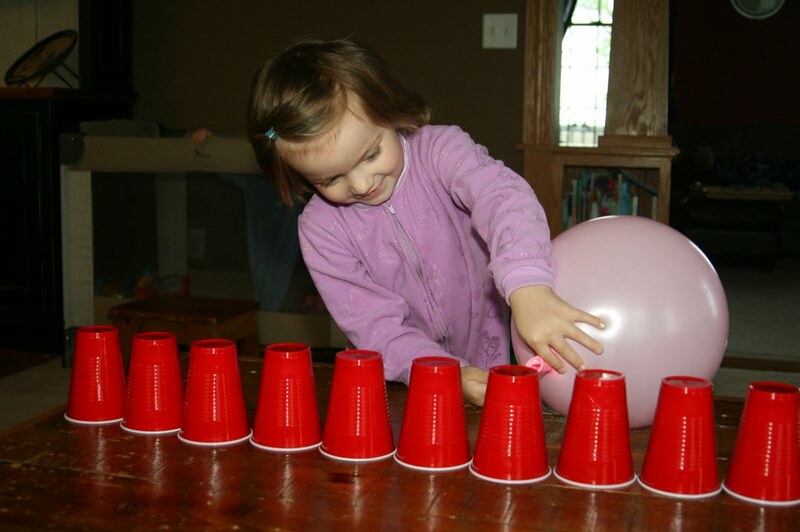 Can you blow 10 cups off the table within a minute? Our family is a bunch of cookie monsters, so this game is played a lot: Face the Cookie. 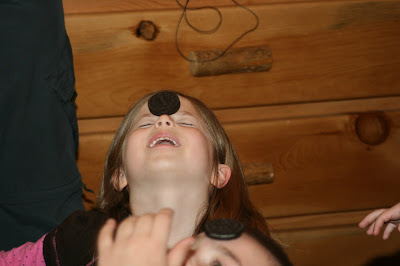 Place a cookie on your forehead, hands behind back. Using only your facial muscles, try to get the cookie in your mouth without touching it. If the cookie falls, try again. So fun! Try to do it within a minute. 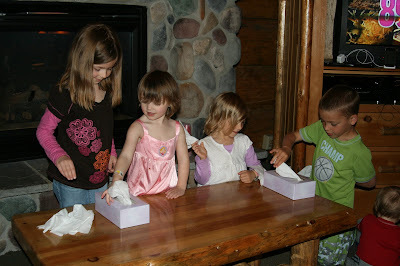 Shaking ping pong balls out of a kleenex box tied to your waist with some yarn. See who can get all of them out first! Pull all the tissues out of a kleenex box with one hand. Can you get them all out in a minute? We did! 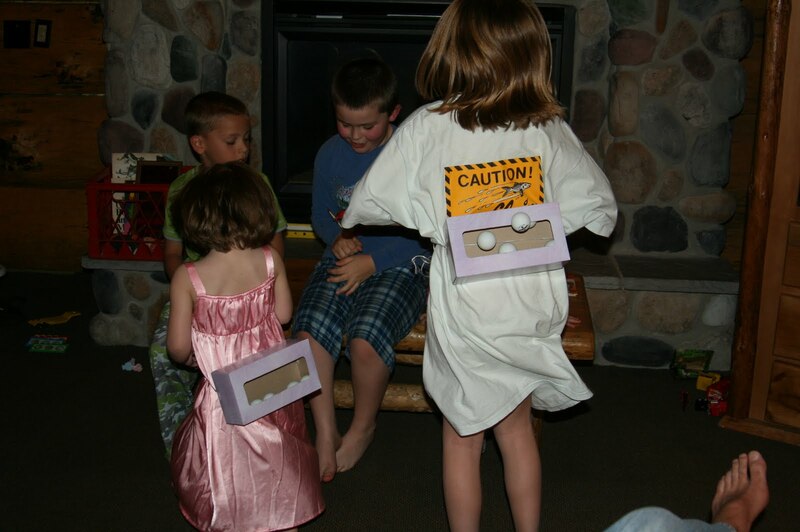 Playing these fun household games creates many laughs and wonderful memories. 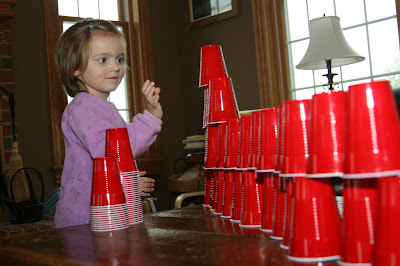 I encourage you to be creative with your family and put together a bin of favorite games.